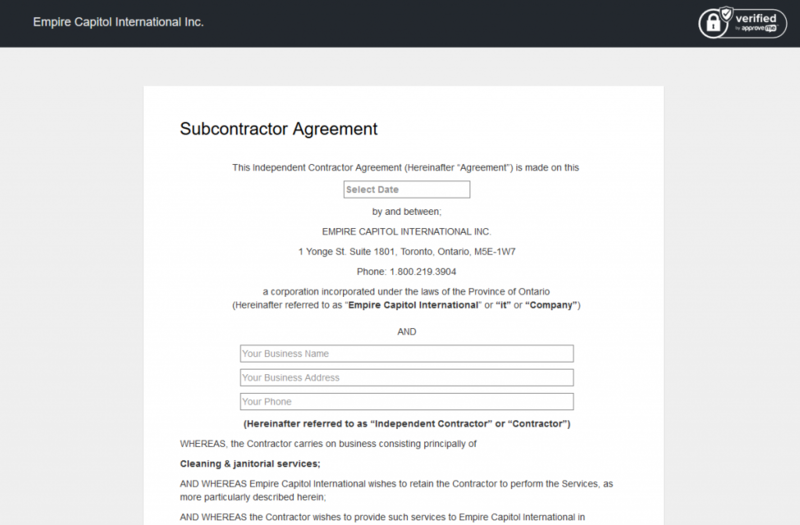 Subcontractor Application - Empire Capitol International Inc. Step 1. Open the Subcontractor Agreement by clicking here Subcontractor Agreement. Step 2. Watch the video on completing the subcontractor agreement. Step 3. Fill in all the required fields, sign and submit the agreement.